Beijing is sinking at the rate of 11 cms per year due to over-extraction of groundwater, a new study has said. The Chinese capital has been experiencing land subsidence since 1935. Experts say that excessive sinking of surface land can damage infrastructure, like roads and bridges and increase flooding due to ineffective drainage systems of the city. Land subsidence can also activate lines of weakness in inner layers, increasing the chances of earthquake occurrence. 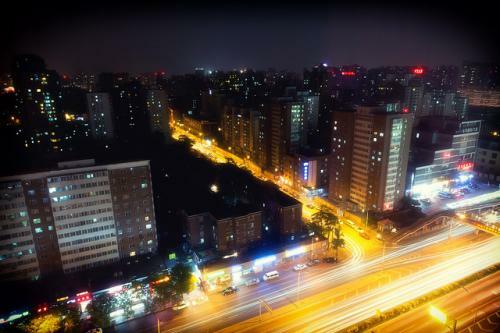 With a population of 20 million, Beijing is the fifth-most water-stressed cities in the world. Due to lack of any waterbody in its immediate vicinity, two-thirds of the city’s water supply for industrial, agricultural and household usage is fulfilled by groundwater extraction. The annual precipitation in the region is around 570 mm a year, which is not enough to replenish the groundwater completely. Over-extraction along with other geo-spatial factors is causing depressions in Beijing’s surface and their depth is on a rise. The authors of the study collected satellite imaging data from 2003 to 2010, analysing the depression in surface. It was found that land subsidence is constantly on the rise in the city. The main subsidence bowls are distributed over the Chaoyang, Changping, Shunyi and Tongzhou districts of Beijing. “The subsidence bowls located in the east, north-east and north parts of Beijing have been gradually connected, indicating the serious situation in these areas. Consequently, this bowl, which appeared for the first time in 1975, has gradually increased in depth and extension,” the report said. The study found evidence to prove that land subsidence rates decrease with the distance to pumping wells according to the shape of the cone of depression that develops around active pumping wells. Hundreds of observation wells were used to monitor the evolution of groundwater levels over time. It was observed that when groundwater is pumped from the aquifer system, the aquifers system undergoes deformation, which could be temporary or permanent in nature. The results of the study concur with a theory proposed by geologist Karl Terzaghi on land subsidence. The theory states that compression of soils results from the slow release of pore water from stressed clay materials and the gradual transfer of stress from the pore water to the granular structure of the clay. Considerable land subsidence has been observed in other major cities of the world like London, Venice, Bangkok, Jakarta and Shanghai, among others. A 2011 study also warns of land subsidence in Indian city of Kolkata and nearby wetlands due to exploitation of groundwater sources, estimating the subsidence rate at around 14mm per year.